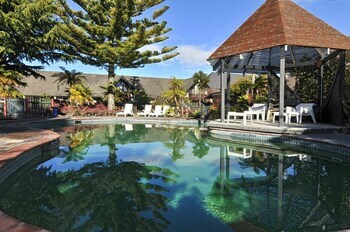 With a stay at Wylie Court in Rotorua (Fenton Street), you'll be steps from Whakarewarewa Hot Springs and 10 minutes by foot from Rotorua Golf Club. Featured amenities include laundry facilities and an elevator (lift). Free self parking is available onsite. With a stay at Lake Maraetai Lodge in Mangakino, you'll be a 4-minute walk from Mangakino Golf Club and 13 minutes by foot from Mangakino Recreation Reserve. Free self parking is available onsite.